Tourism in a funny thing. Some towns are flush with it, cashing in on their proximity to a nearby attraction or milking something topical, historical, or geographical. Some towns are in desperate need of it, especially ones that the highway or interstate system bypassed years ago in the name of speed. 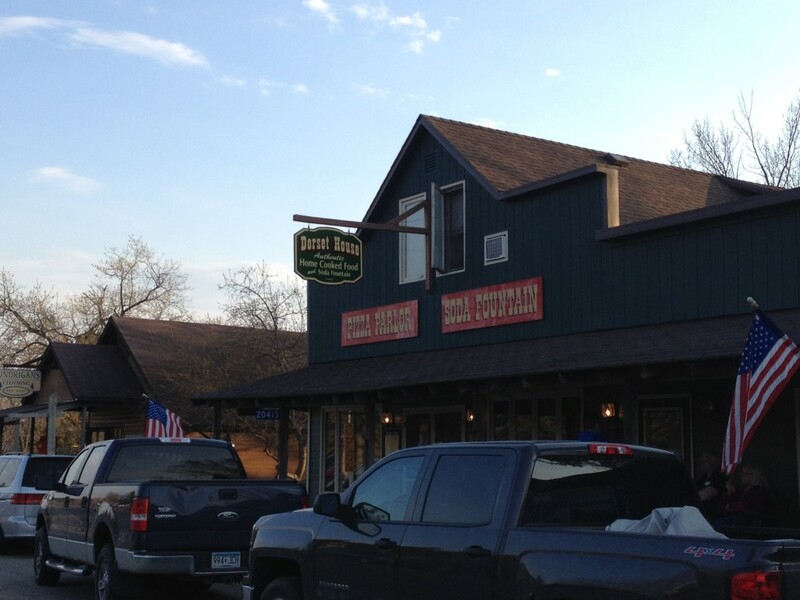 But the tiny, unincorporated town of Dorset, MN, population 22, has a claim to fame which sets it apart from elsewhere – They claim to be the Restaurant Capital of the World, and this claim may very well be accurate. Dorset sits northeast of Park Rapids, MN in Hubbard County and consists of little else than a main street along a county road. 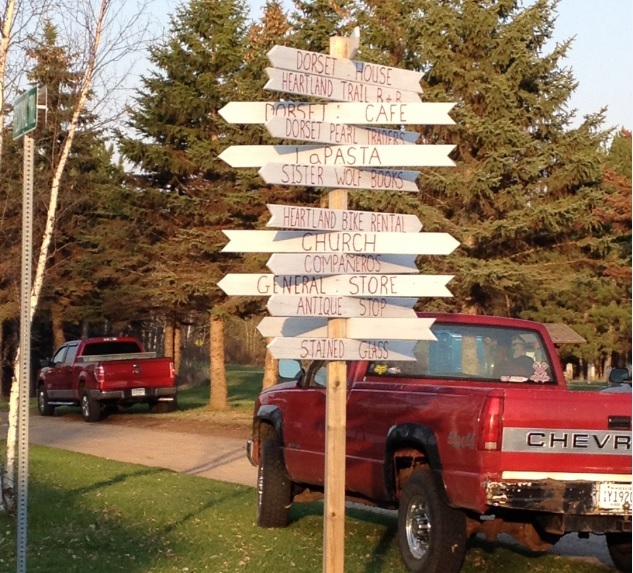 It’s in a popular resort area in the classic Minnesota lakes country, and boasts 4 different restaurants as well as gift shops, mini golf, an antique store, ice cream shop, and old-timey photo booth, and a church among other things. It’s all set along boardwalks with benches, woodcarvings, and hanging flower baskets. There is no gas station or post office. But during the warmer months, Dorset sees thousands of tourists each year. 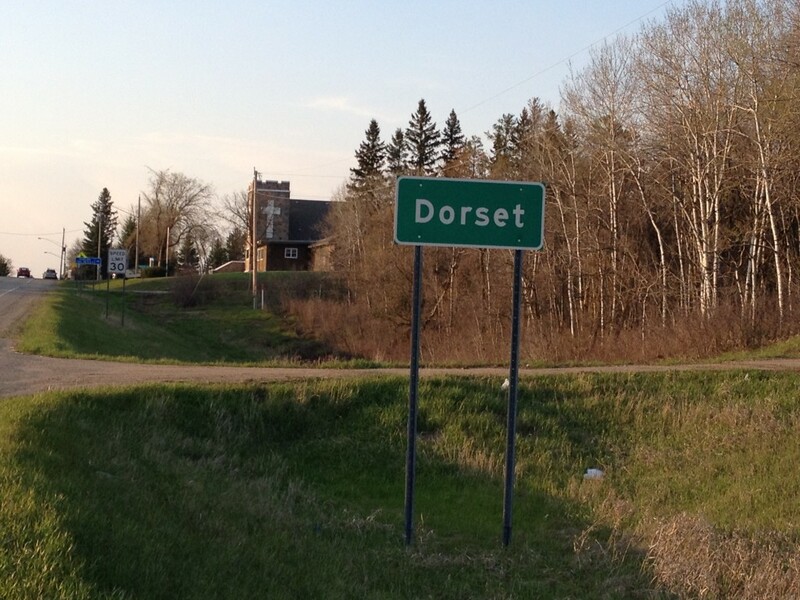 There are four restaurants in this tiny town – The Dorset Cafe (classic diner staples such as broasted chicken and burgers); Companeros Mexican restaurant, the “Dorset House,” (homemade pizza, soups, sandwiches), and La Pasta Italian Eatery. And just north of town is a Zorbaz franchise, serving pizza and Mexican cuisine. This equates to 1 restaurant per about 5 people, giving Dorset the unique distinction of being the “Restaurant Capital of the World,” which is undisputed at this time. Once a year the Dorset Daily Bugle is published, a hilariously embellished newspaper of outlandish stories and goings-on. The Heartland Bike Trail, spanning from Park Rapids to Walker, goes through Dorset, bringing visitors in off the beaten path. 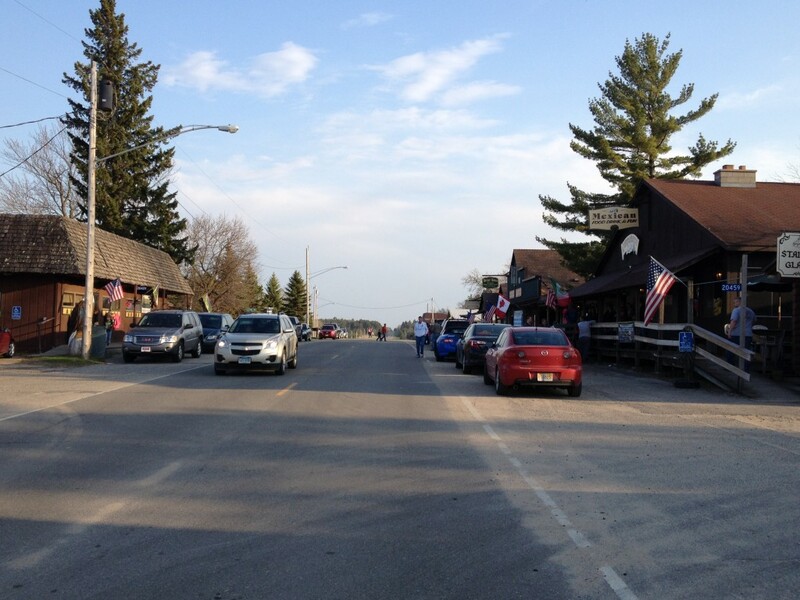 The town only spans about two blocks, but when we drove through on a warm, Saturday evening in May, we found the streets to be packed, taking on a wandering, state-fair type of attitude: casual, friendly, and happy. The air smelled of several different foods and people mill around about to the different shops before heading back to the lake for the evening. It’s a pretty cool little town, making something out of nothing and doing a damn good job of it. It really isn’t on the way to or from much, but it’s found just north of busy Highway 34 between Park Rapids and Nevis. And just in case you still aren’t sold on Dorset yet, this is the town who elected, and then re-elected a 4-year old as Mayor in 2012 and 2013. And the funny thing is, he probably has done a better job than most of Minnesota’s politicians. While in the area: Another quirky little “town” only about 15 minutes from here is the historic Emmaville, or head east and check out the World’s Largest Tiger Muskie in Nevis or the classic Paul Bunyan in Akeley. Absolutely love Dorset – kudos for mentioning their satirical yearly, the Dorset Bugle. Perhaps they’ve changed the political process, but I always thought the election of mayor was done by drawing a name out of a fishbowl they keep at the Dorset House (you can write in your own nomination for a small fee). Great post! Thanks! And yep, great little town. I love their election process- I heard one year they elected a dog. So helpful, thank you Seth!! Spent the Bicentennial of the US in Dorset. Visited the uncle of my ex-husband. We camped in their pasture and after the evening fireworks, we went back to our campsite and the cattle had trashed it There was even n a cow pie right in the middle of our cast iron skillet! Very uncommon for me, I just started laughing and we proceeded to load up our vehicle and then we started to drive home to the TwIN Cities. On the way we saw every fireworks display in every little town all the way to Northeast Minneapolis! What a great way to spend that great day!